Our timber frame homes are handcrafted by skilled craftsman carrying on one of the oldest building methods. 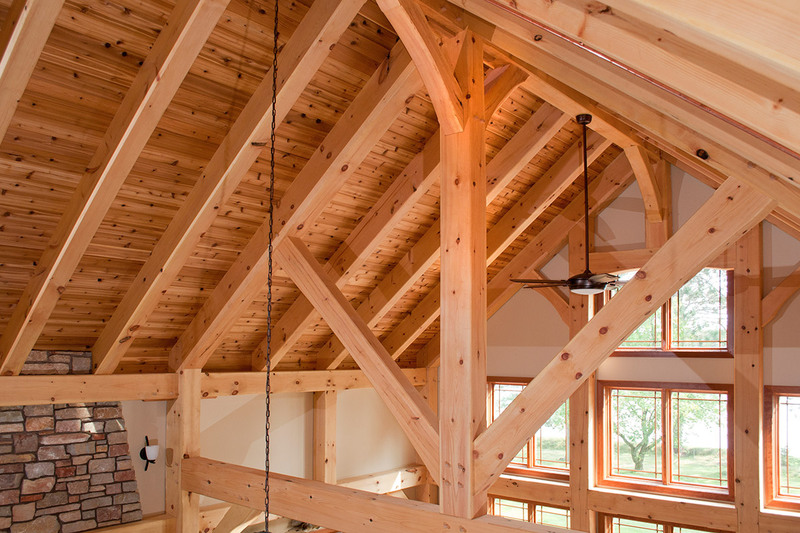 We create one-of-a-kind houses built with a frame structure of large log posts and beams that are joined with pegs or other types of decorative joinery. Starting with whole logs, we craft frames from a variety of wood species including White Pine, Douglas Fir, Western Red Cedar, and reclaimed timber. Timber frames offer a unique visual effect because the walls of the finished structure are positioned to the exterior of the framing, allowing for exposed timbers and beams. 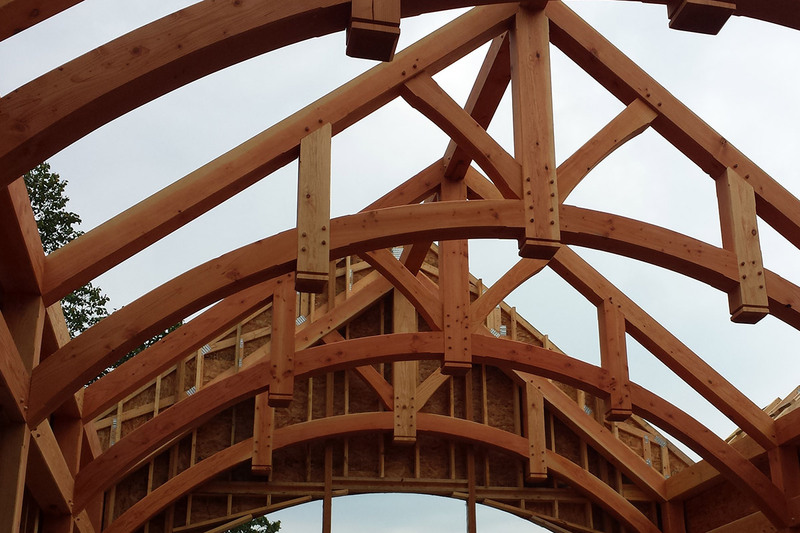 Our timber frames are perfect for new homes, cabins, great rooms, and grand entrances. The design applications are endless. Timber frames are the original building framing. 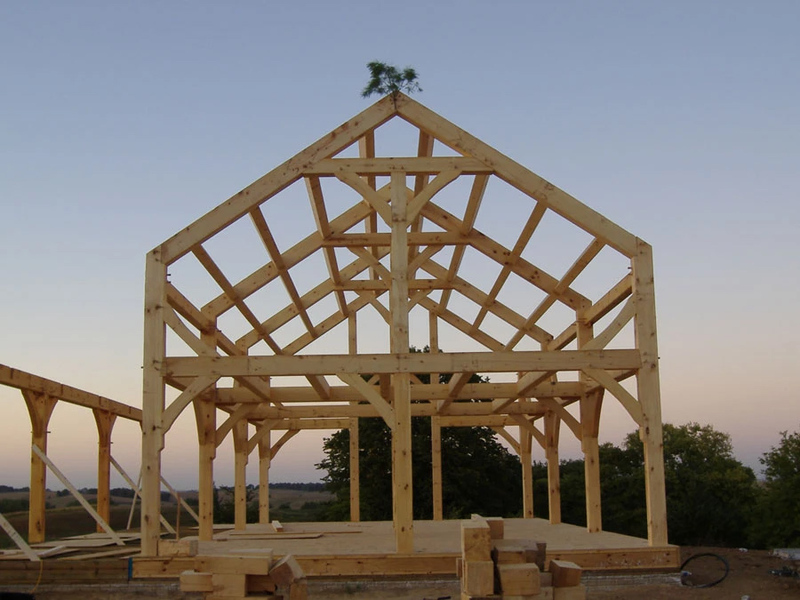 The strength and durability of a timber framed structure creates a base skeleton for your home that will last for centuries. Special joints connect large timbers with such strength the need for load-bearing walls is eliminated and allows for completely open designs create warm, voluminous spaces. 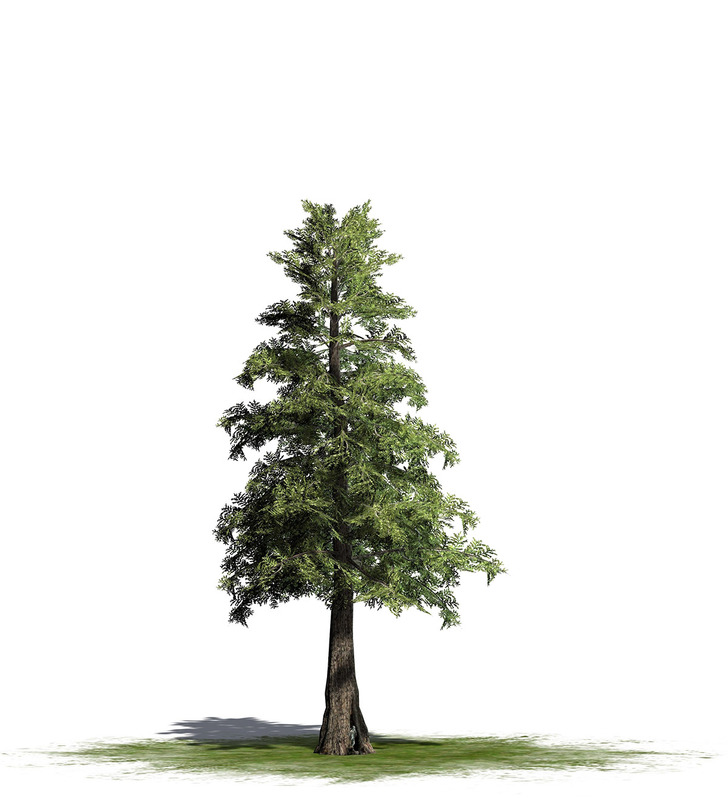 Despite consisting of heavy gauge wood – often 6″x6″ or 8″x8″ – timber frame buildings are not the same as log homes. Log homes use whole log construction to create a specific look by using logs in the finish construction of whole walls. 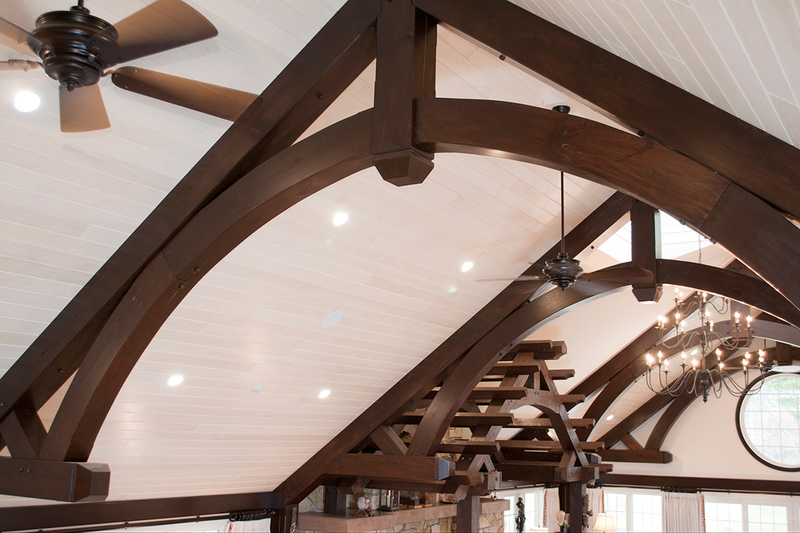 Timber frames create vertical spaces and offer a diverse set of finish options including traditional wood, tongue and groove, drywall and plaster. 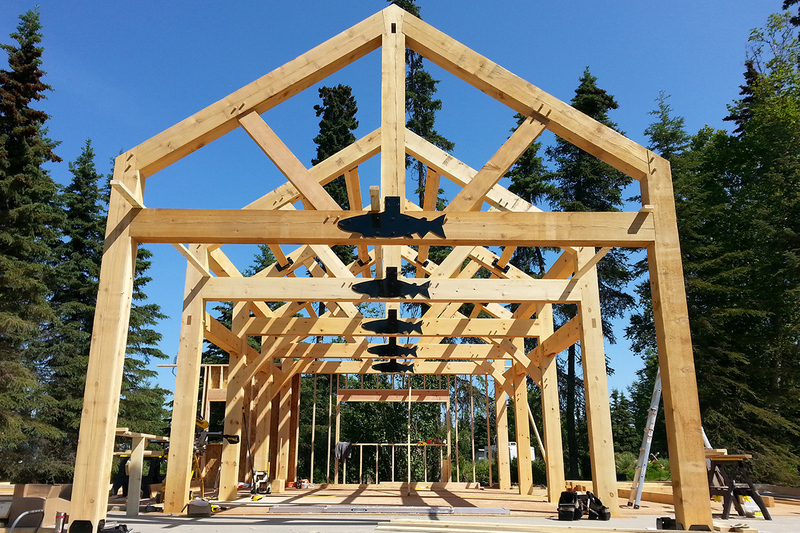 By choosing a timber frame for your project, you will make a bold design statement. Timber framed homes become signature models throughout every architectural style including casual or rustic styles, an ornate Victorian style, or even a classic Shaker or New England Shingle style.